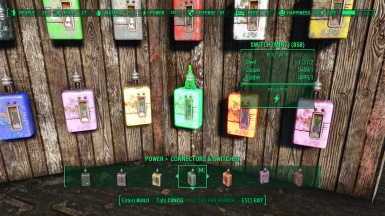 It is awesome, because it eliminates having to use so many wires in settlements to give it a cleaner, more organized look. 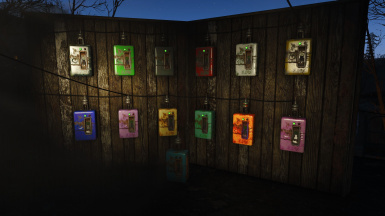 I would love to see you make your beautiful colored ones into generator boxes like the mod I referenced above. If not, that's OK. Your switch boxes are really beautiful. Let me brainstorm and play around with the idea a bit. Thank you for the compliment! That's really nice of you to even think about it. That at least earns a kudos for you! Psst. 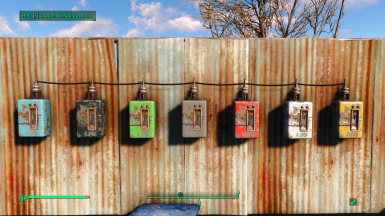 Got some switchbox generators up just for you, friend. You are one of the nicest modders on the Nexus in my opinion!!! Thank you! Lol I was just about to post this thanks. Thanks Xaosbob this is awesome. You're welcome! Have fun with them! 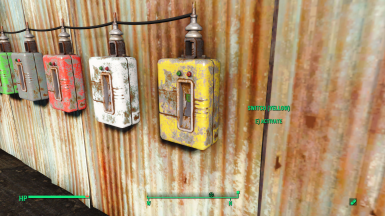 This will make complex logic gate circuits so much easier now. Thanks! 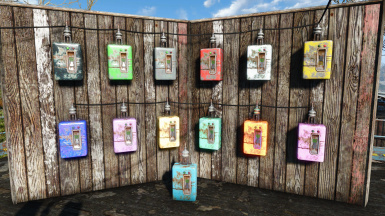 I have been waiting for so long for this mod! thank you! 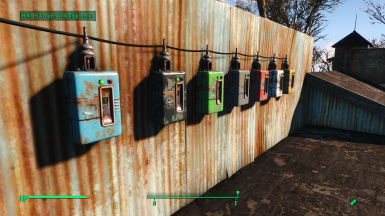 I color code everything in my settlements. Example: Agriculture zone: Green (ofc) Defense zone: Red (yep) and this mod will fit nicely within my system. You're welcome! Another reason I made it is to suit exactly that sort of creative use. I'm so glad I could help! The red one seemed the most obvious, so it was the first I made.